We are very proud to share our on-going photo documentary project with Catacomb of Veils, one of the largest and most ambitious art projects ever at Burning Man. Please follow the link below for the latest and most up-to-date gallery, or keep checking our blog here as we'll be selecting some of our favorites on and off over the next two months. For more information about the project, please go to http://catacombofveils.com, and if you need access to any prints of photo information, please contact us directly. 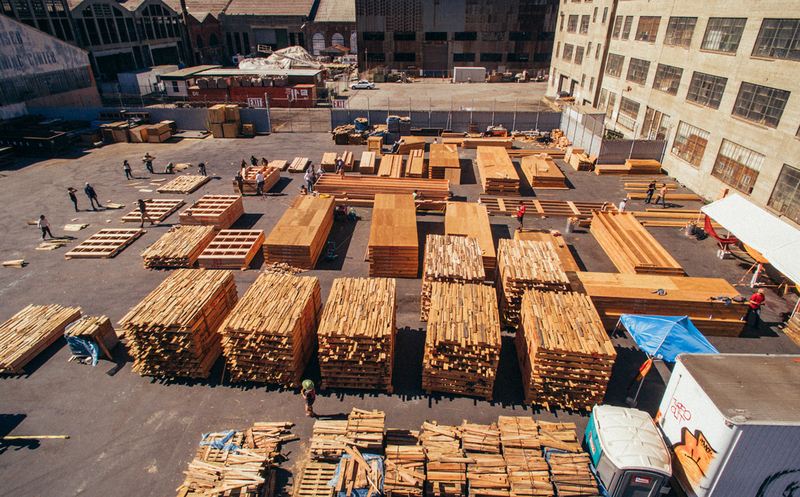 Aerial view from the build site at Pier 70, San Francisco.